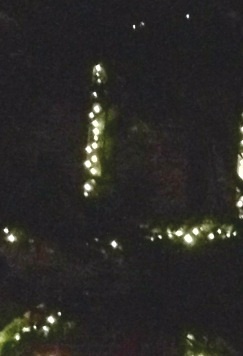 In December 2012 my family & I drove to Barnsley Gardens to see the Christmas lights. We walked down to Barnsley manor which is in ruins. I had heard this place was haunted so I decided to snap a few photos in hopes I would capture something and I did! Better than any paranormal pictures I have seen on tv shows. Amazing.